After her car is struck by a passing vehicle, Michelle (Mary Elizabeth Winstead) wakes up to find herself locked inside room and chained to the wall. She soon discovers she is being held in a fallout shelter. Her captor Howard (John Goodman) claims he has actually saved her life because there has been an attack outside and America is undergoing chemical fallout. The shelter's other resident Emmett (John Gallagher Jr.) corroborates the story. However, Howard seems slightly unstable, and Michelle must decide whether she will stay in the shelter or attempt an escape, though doing so would mean death if Howard is telling the truth. 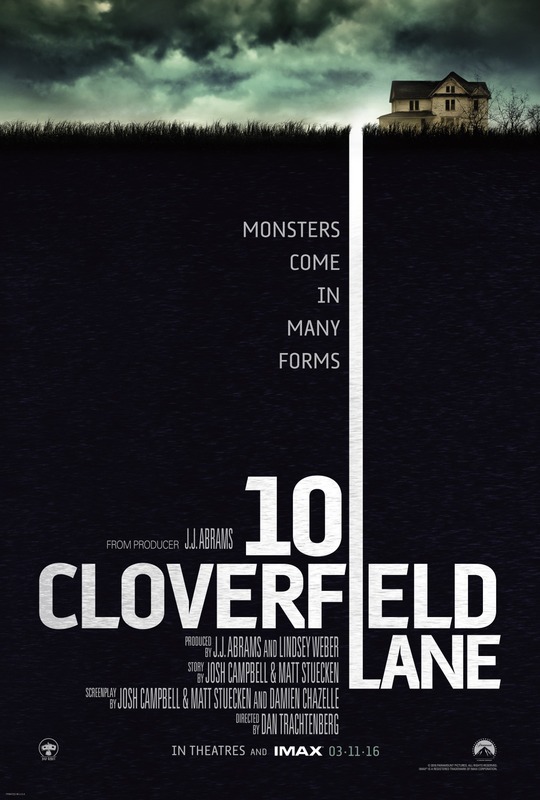 "10 Cloverfield Lane" is the second film in what is now being referred to as the Cloverfield anthology series. This movie is produced by J.J. Abrams, as was the original "Cloverfield," and it is important viewers know going into this film that it is not a sequel or a reboot to the 2008 found footage flick. In this movie, first time director Dan Tranchtenberg creates a wonderful, rather brilliant tension-filled thriller about a woman named Michelle, played by Mary Elizabeth Winstead, who upon leaving her relationship gets into an accident on the road. She wakes up in a fallout shelter and is told the world has essentially ended, rendering the air above unbreathable. John Goodman plays Michelle's captor and/or possibly savior Howard, who is a doomsday survival nut and conspiracy theorist extraordinaire. From the get go, Howard seems completely unstable and is prone to fits of rage. Needless to say, Michelle struggles to believe him at first, wondering if Howard is just crazy, or if he has simply kidnapped her for possibly ever. She quickly finds out there is a third person in the fallout shelter, a younger, seemingly more stable man named Emmett, played by John Gallagher Jr., who confirms Howard's ravings that the country has been attacked, although neither know by whom or what exactly. Relatively resigned to their fate, Michelle, Howard, and Emmett go about their day to day lives in Howard's fully-functional underground shelter as the pieces to the mystery slowly begin to add up. 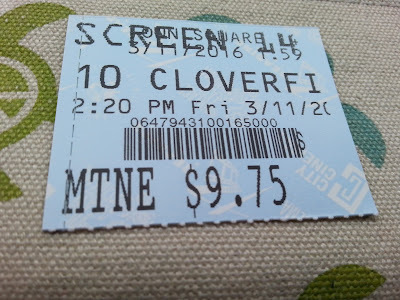 "10 Cloverfield Lane" offers a tremendous amount of edge-of-your-seat nail biting moments and has a great mystery as we are left wondering just like Michelle exactly what is really going on. Since this movie primarily takes place in a fallout shelter, we as the audience begin to share in the uneasy, unsettling, claustrophobic feeling our protagonists must feel going through such a strange series of events. Just as things start to settle down, another layer of mystery is unveiled, turning the tension back up to 11. All of this leads to an amazing and exciting conclusion that we personally loved, though we know this final act will make many audience members turned off by the movie as a whole because of it. Though the movie only has 3 characters, they are each well constructed and acted stupendously. John Goodman proves time and time again that he is one of the finest character actors alive. As Howard, he captures the mannerisms of someone you'd assume was a conspiracy nut. He plays this part to the tee, giving a commanding, verbose, borderline scary performance. Mary Elizabeth Winstead and John Gallagher Jr. both offer up solid performances as well. Michelle is a smart protagonist, unlike so many other mystery/thriller/horror/sci-fi films. She is always one step ahead of the game, and Winstead does a great job showcasing this. Each of these people provide what they need to their great characters to add exactly what is necessary to make this an enthralling, tense, skin-crawling, engaging story. This relatively low budget film with a small cast in an isolated location shows you don't need expansive, epic landscapes and big budget special effects to captivate an audience. Great characters are the heart of any story, and this film has great characters. All of this gives the perfect, expert example of good film making as a whole. A taut, eyeball-widening mystery mixes well with a hidden hand of cards and a slew of wonderful performances. 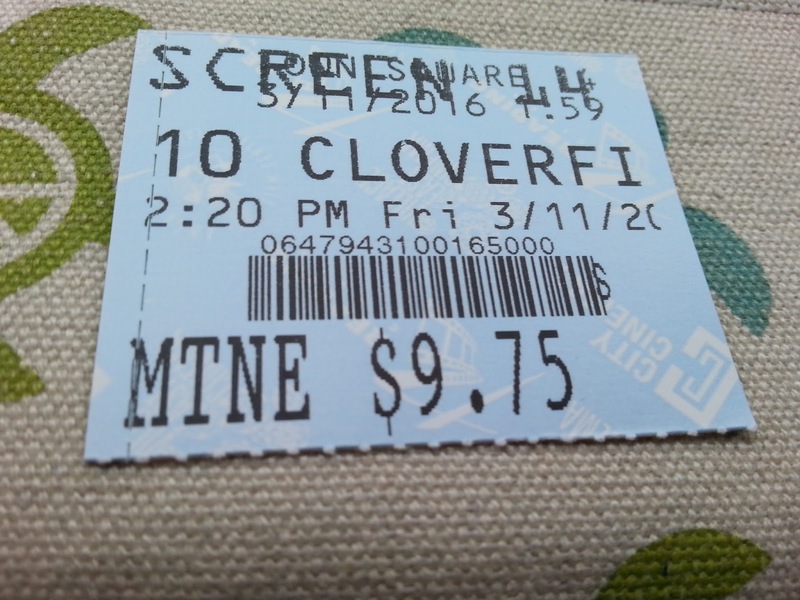 The marketing was also impressive, too, and we hope more movies withhold their trailers like "10 Cloverfield Lane" did. Go into it knowing nothing and read nothing ahead of time and we promise it will enhance your viewing experience. J.J. Abrams' Bad Robot production company is no stranger to movies with a pandora's box of mystery, and this film is no exception. One year ago, we were watching: "Foxcatcher"
Love the review.. I just might call it my fav. movie of 2016 so far.. I mean I loved Deadpool..but this is soooo good. I needed a good scare like this! ha! We love how this movie was thrilling enough to be both edge of your seat AND scary at the same time! John Goodman was the perfect casting choice, and all of the acting was so, so good!